Joan Juliet Buck has had an esteemed career in journalism and entertainment. Her decades-long relationship with Conde Naste has seen its fair share of ups and downs. Notably, Buck served as the first American editor of Vogue Paris, upping its circulation and trendiness. In a new memoir, the journalist, fashion icon, and actor, details her career and time with the magazine conglomerate. From the politics of her ouster at Vogue Paris, to a 2011 article that left her feeling “scapegoated” by her beloved company, Buck bears her sole to tell readers what exactly is The Price of Illusion. 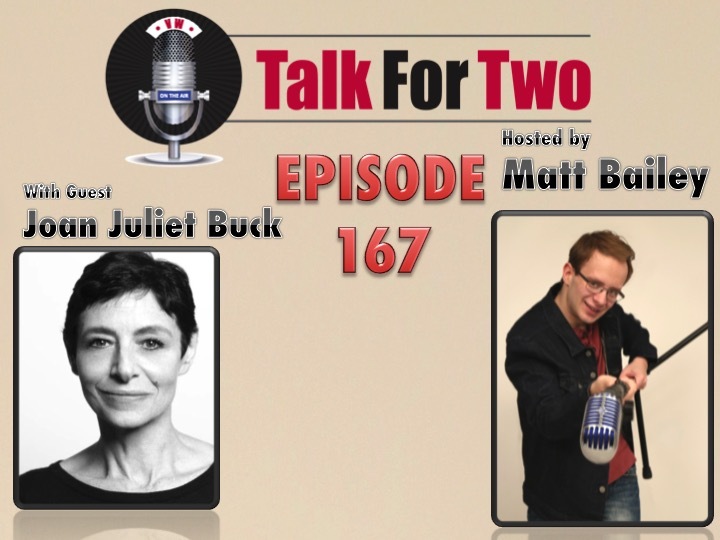 In this interview, Joan Juliet Buck talks with Matt about her interest in journalism, how she began writing for Conde Naste, and the uproar about her lifestyle article on Asma Al-Asaad-the Syrian First Lady-that began her journey writing Illusion. Through it all, Buck’s copyrighted personality is on display, and she handles herself with all the grace and class for which she has become known. Buy the Price of Illusion here.